The second generation Aston Martin Vanquish S was launched in 2017. It featured the same AM29 V12 engine as the standard car, but now delivered 595 bhp. A new aerodynamic package was also introduced. These alterations now allowed the Vanquish S to accelaerate from 0 to 62 mph in just 3.5 seconds, with its top speed remaining unchanged at 201 mph. 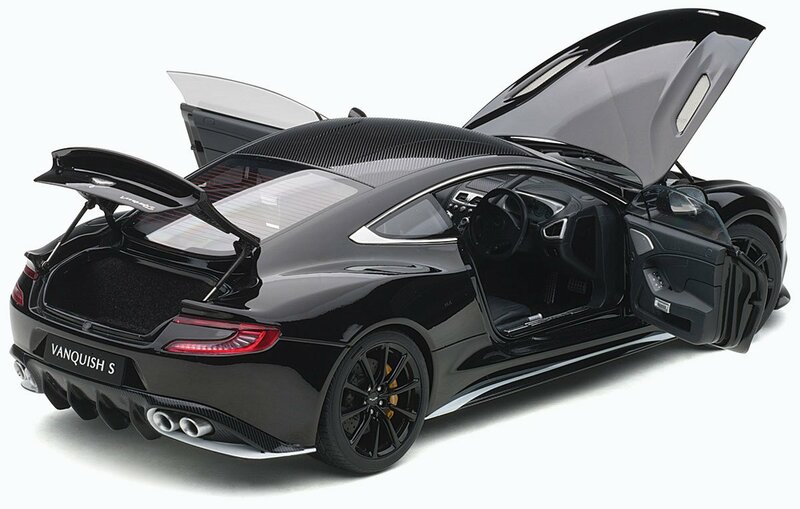 Although AUTOart has recently been an advocate of the sealed bodyshell replica, it is incorporating opening features into its 1:18 replicas of the Vanquish S. The Onyx Black version has just been released, while Ming Blue will follow shortly.